We have two, beautiful Kentucky style stables and a classic shed row stables. These stables offer comfortable, first-class facilities. Boarders enjoy our full-service stall, paddock board or pasture board. If you are a horse owner, please join us to maximize your equestrian experience. Boarding is charged on a pre-pay, monthly basis and a deposit is required. Boarders receive a discount on some additional services, including lessons and some training packages. We also provide partial board and care for horses on a temporary basis while owners are on vacation or away on business. All boarders must sign a Full Care Contract and a Release and Waiver if they plan to ride on the property. 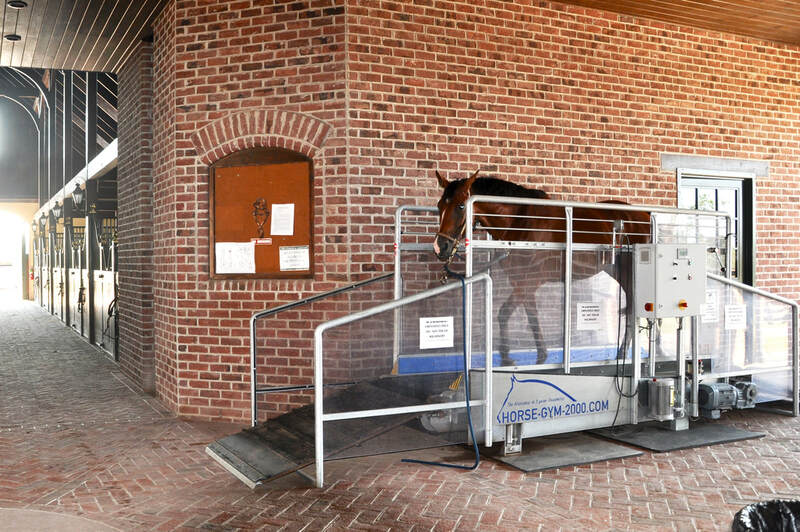 Your horse must have an up-to-date Coggins upon arrival at the farm before your horse is allowed off the trailer. the cost is $25.00 per day. 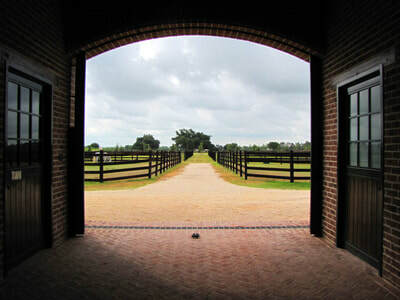 Your horse is kept in one of the two premier barns in the South. Each of the 12x12 European style stalls has rubber stall mats, automatic waters, fan, Dutch door windows with an equine yoke for the stall door with vented wooden slat front. The other amenities for both Kentucky barns are a tack room, 2 tack stalls, 2 wash stalls, bathrooms and shower. Kitchen in one barn and customer lounge in the other. The barns designed for wind driven ventilation from the prevailing winds along with fans in the cupolas, creating a cool and pleasant atmosphere during the hottest days of summer. 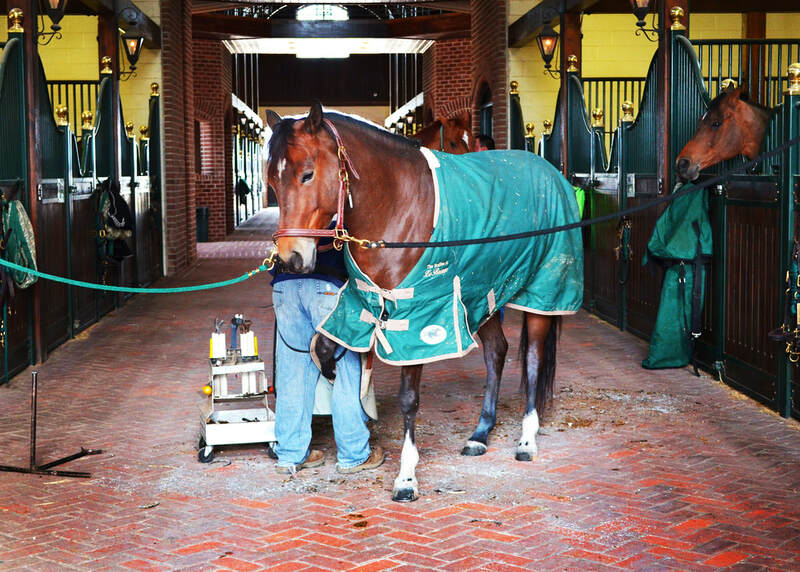 For the horseman who wants to be more hands-on, we offer Paddock Boarding. Your horse is stalled ina 16'x16' individual stall with run-out. You, or your horse, can choose to run about the paddock area or be in its spacious stall with auto field waters. Your horse is given hay and feed twice daily. $525.00 per month. A negative Coggins test is required on all horses valid for one year. A copy of the Coggins will be supplied to the farm upon arrival and on each renewal date. The Stables at Le Bocage also requires that the horses be vaccinated for tetanus, flu, rhinopneumonitis, Eastern/Western equine encephalitis and Rabies. Horses must be placed on a regular worming program. We will provide worming of all horses every 30 days or as directed by the Vet in writing.